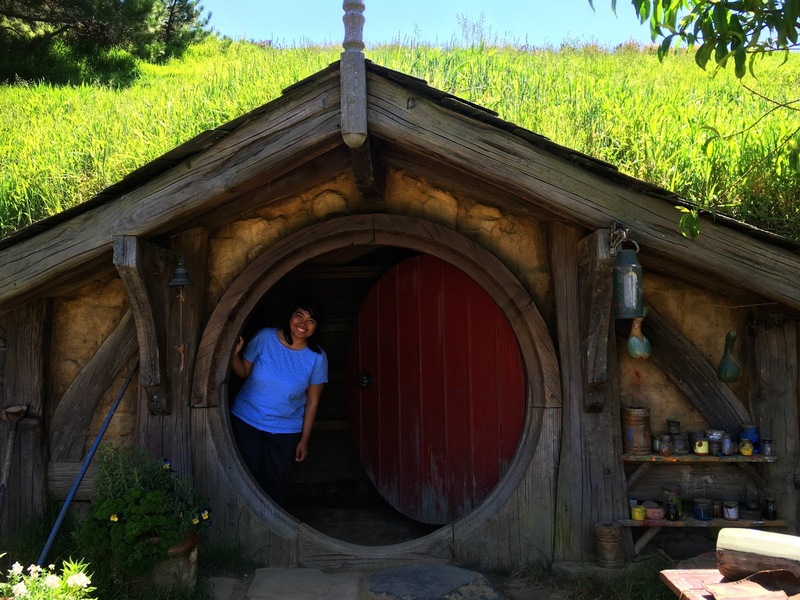 New Zealand has been on my bucket list for a long time and this is why I was too excited when I coming to Auckland last month. In the beginning, I put Queenstown and Christchurch on my itinerary but due to a huge earthquake near Christchurch just two days before my arrival I decided to cancel all my trip to South Island. 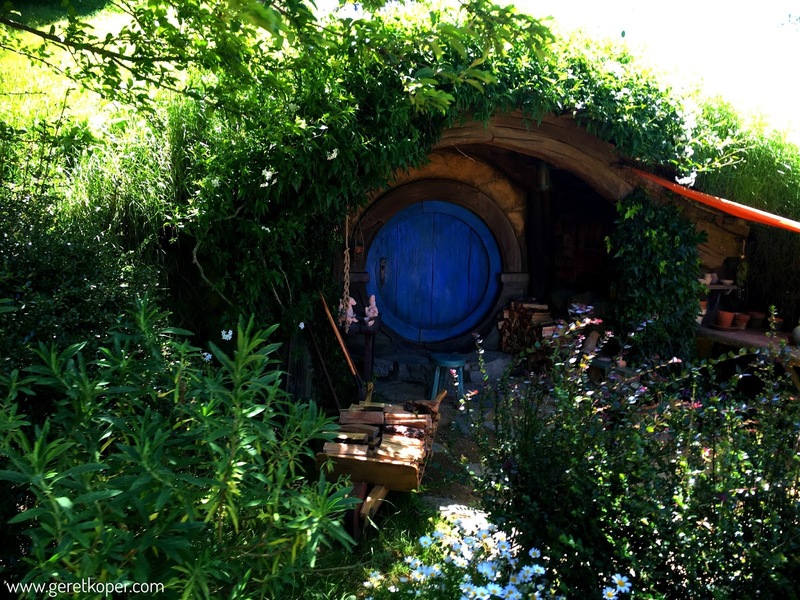 I only have one day to change all my itinerary and finally put Matamata on the list. 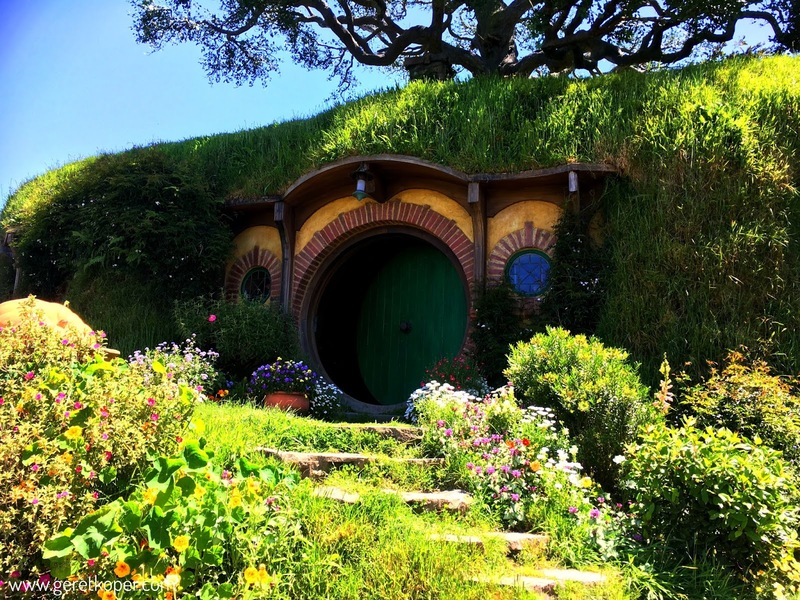 Matamata is a town in Waikato region which is currently famous for its beautiful green scenery that featured in Lord of the rings and The Hobbit trilogies. Everyone who wants to visit Hobbiton have to purchase ticket for guided tour to make sure all of the guests have the complete experience during a trip to the movie set. 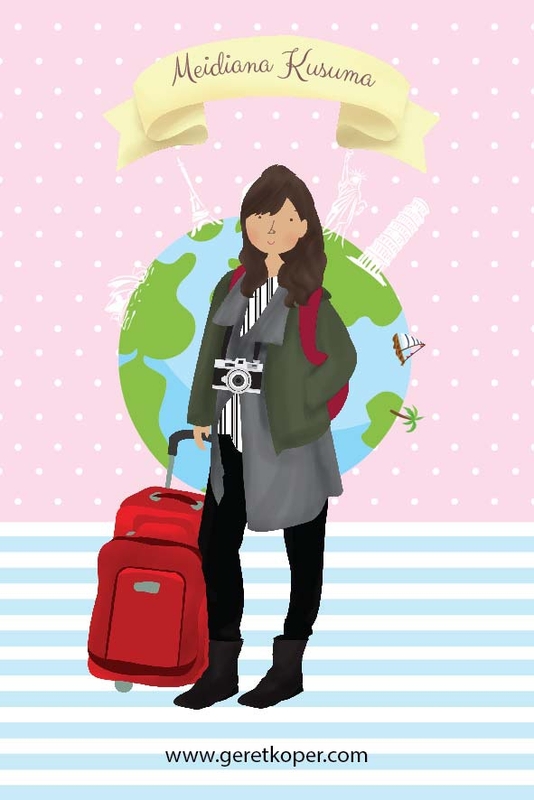 all guides will explain everything related to the site and answer your questions about the place. 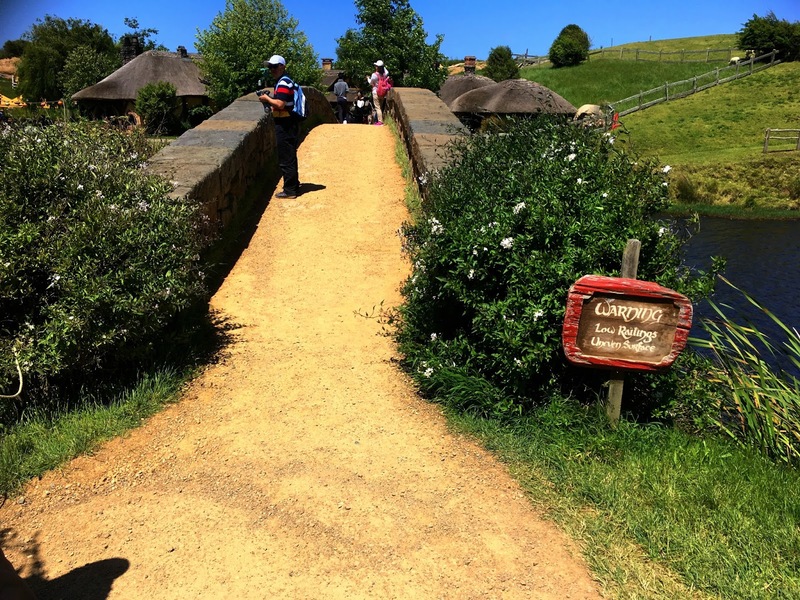 To be honest, although I wasn't a big fans of Lord of the rings I enjoyed this tour very much. This place is well maintain and our guide was really helpful, kind and explained everything about the place very well. 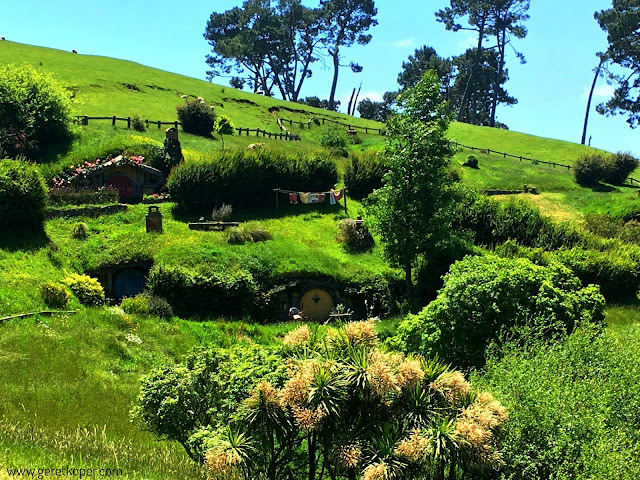 The shooting itself started on year 2000 for The Lord of the Rings: The fellowship of the Ring and previously they used semi permanent material for building the Hobbiton. 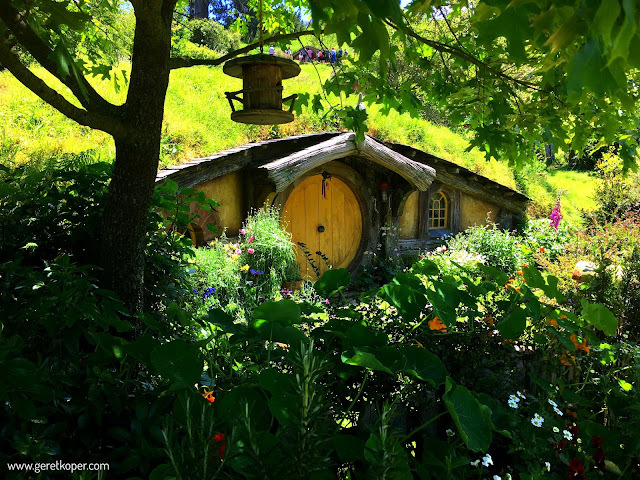 They finally built "Middle Earth" using permanent material for the next movie. I already excited for the tour since the time I arrived at Matamata city center. 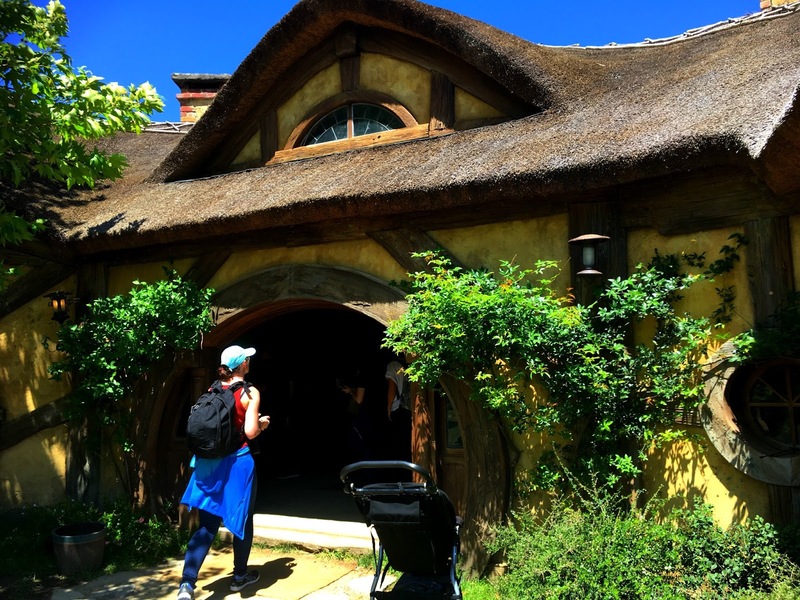 Information site's building was uniquely design similar to Green dragon inn on Hobbiton site. All visitors can't wait to queue to get their picture taken with this building as the background. I suggest you to book for the tour in advance to avoid a long queue line inside the iSite (information site). 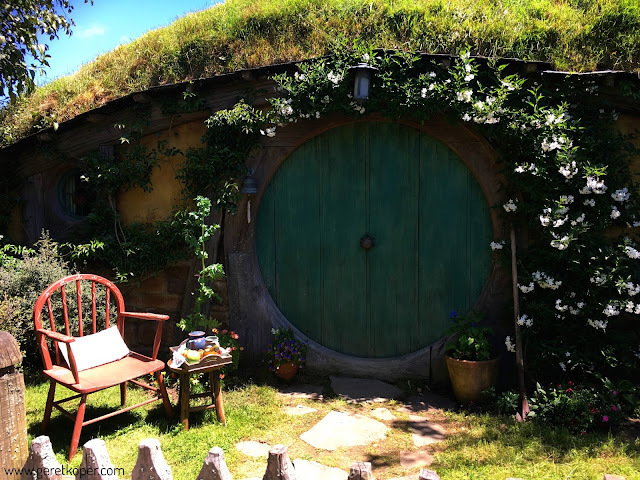 If you book in advance you can simply choose your desire time visit because if you book on the spot you have to anticipate yourself to come to Hobbiton on later schedule if the nearest schedule is already full booked. 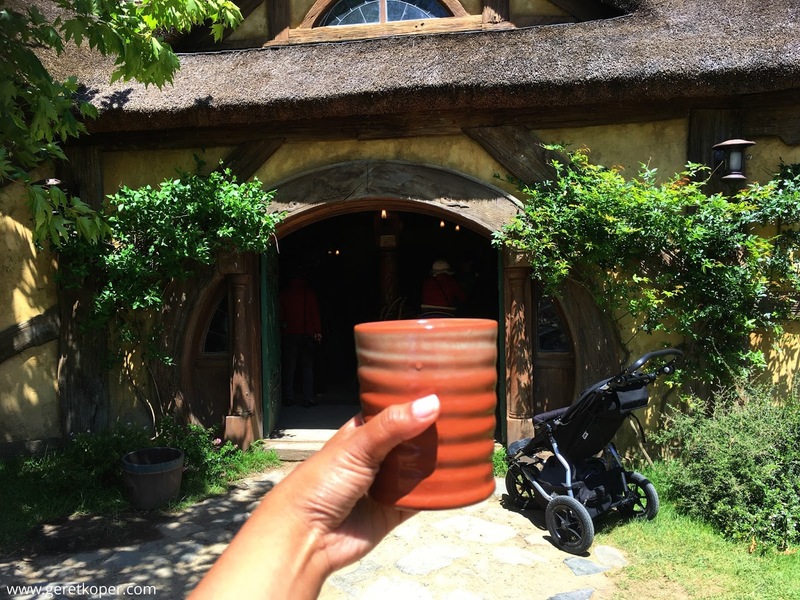 all visitors will get free drink inside Green dragon inn, you can choose between beers, apple cider and ginger beer (non-alcohol). can you spot the clothesline? You can buy a direct bus ticket to Matamata from Auckland CBD, I booked ticket from intercity bus. Intercity bus station in Auckland is located in Sky City. It will take you around 3 hours bus ride from city. 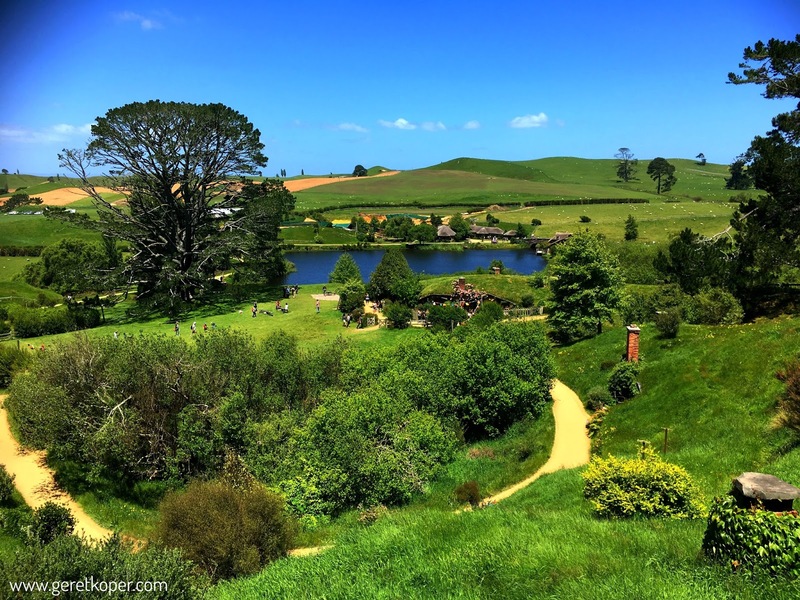 You can buy a direct bus ticket to Matamata from Hamilton Transport center. It will take you around 1 hour bus ride to Matamata. If you travel from Rotorua, you can choose between Intercity bus to Matamata or Hobbiton guided tour from Rotorua. Can I go to Hobbiton on one day trip? Yess yess, you can visit this place for one day trip. 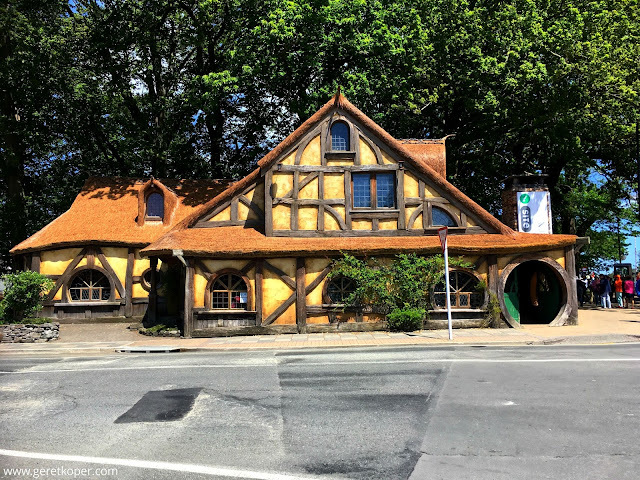 You can choose 8am bus from Auckland CBD to Matamata which scheduled to be arrived around 11.15-11.30am at Matamata Information site. For travelling back, you can choose 4.45pm bus to Auckland. Meanwhile for the tour, you can choose between 11.45am or 12.30pm from Matamata information site. All my pictures above edited using online photo editor apps called FotoJet , this apps is really easy to use and it has many photo effects and templates. I used scenery effect for all my pictures above. That was so cool, I hope I can visit the hobbiton too. The scenery really beauty..